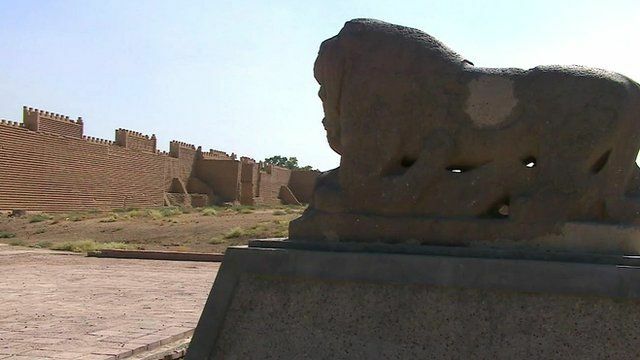 There are fears that the ancient site of Babylon in present-day Iraq is threatened with destruction by the militant group calling itself Islamic State. Across Syria and Iraq, priceless historical relics have already been destroyed or sold by the militants to buy weapons. And monuments and buildings, some more than 1,000 years old, have been blown up, as they have been regarded by extremists as un-Islamic. Sally Nabil reports from southern Baghdad in Iraq.